My daughter is a trooper. 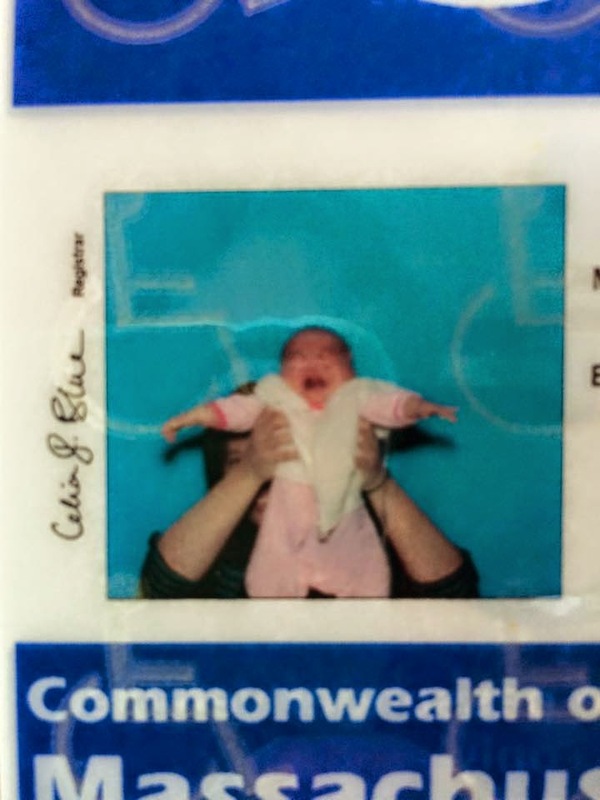 She had a Nutrition appointment, then a GI appointment, got blood drawn, G-tubed in the car in her car seat, and then went to the DMV for a photo op. I am smiling really hard behind her because I think it's hilarious that I'm holding her up like in the Lion King when they sing Circle of Life. This is after we walked in and saw all the chairs in the waiting room full of elderly folks who needed their handicapped placards. I was told the wait was at least an hour long. Hakuna Matata...we decided to stick it out. And then 10 minutes later, the most amazing DMV employee came out, handed out handicapped placards to ALL of the people in the room, and then the room was empty! I love you, DMV employee!! Today we get to use a handicapped space with the new placard if we need to. This is such a help with all the gear we have. I am so grateful!